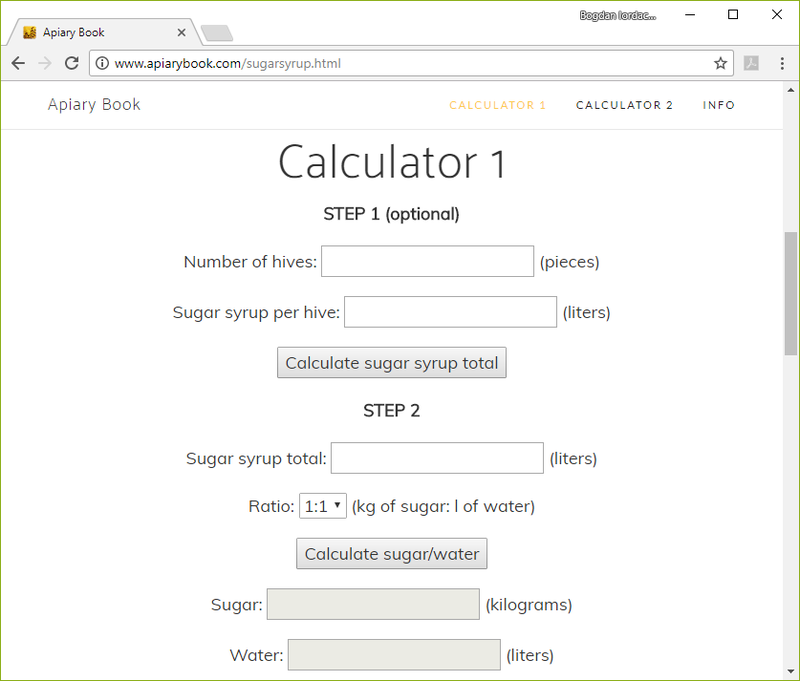 Today I am launching the second web tool that can be used by beekeepers from around the world to determine how many liters of water and kilograms of sugar you must add to get a specific volume of syrup. 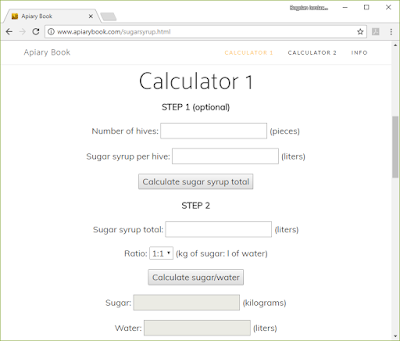 The best food for bees is the honey, not the sugar! Please leave plenty of honey to your bees so you would not need to feed them with sugar!